Get the help you need to get back to work! Schedule a meeting with one of our Independent Living Specialists. They are trained to help you do what you need to get to work. Understand your rights for reasonable accomodation under the ADA. Office of Special Education and Rehabilitative Services (OSERS). Research and Training Center on Disabilities in Rural Communities Rural people with disabilities have a higher rate of unemployment than their urban counterparts, possibly due to the marginal nature of many rural economies. They can provide help on employment and vocational rehabilitation. They provide technical training to adults on the autism spectrum, engage their strengths, and help them find work to achieve fulfilled lives. Are you a disabled job seeker considering employment with the US Federal Government? Individuals with mental or physical disabilities can be hired under “Schedule A” hiring authority. Job-Hunt explains about special hiring programs with the Federal Government and may help you land your dream job! At Disability Job Exchange, they are committed to finding the perfect match between dedicated workers and employers looking to build a strong workforce. Their experienced team is also happy to provide resume and interview tips and career advice to guide workers through their search for the perfect job. They work with companies like FedEx, Toshiba and more! 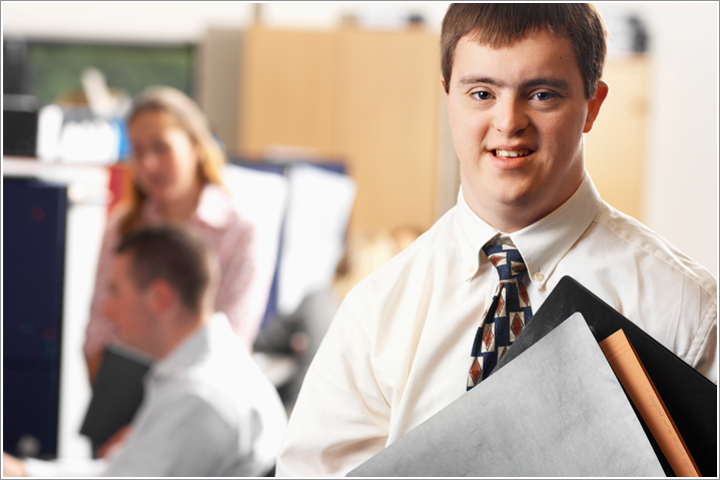 Diversity managers & recruiters rely on this high ranking, cost effective National Job Board to locate and hire job seekers with disabilities for all types of positions. What makes this job board unique is that it combines Sierra Group’s 25 year history in the disability employment industry with companies and job seekers alike to connect them with a great career. If you have a question about workplace accommodations and the Americans with Disabilities Act (ADA) and related legislation, Job Accommodation Network(JAN) can help! They are the leading source of information and confidential guidance, and work to get people with disabilities employed. Try their free, one-on-one consultations with employers and workers. It’s difficult for people with disabilities to find jobs. Keep a positive “can-do” attitude and follow these steps from Disability & Employment to succeed in your job search: Believe in yourself, network, get involved in local non-profits and make connections with people. Let them know what our skills are. Research possible tax advantages for companies who hire the disabled and show how they will benefit by giving you the chance.